What's the future of ecommerce? Given the scale and pace of change, ecommerce is a landscape that presents a number of challenges. Game-changing tech must be adopted to remain competitive. Customer journeys and their myriad touch-points are becoming ever more complex. And more savvy buyers now hold the industry to higher standards than ever before, demanding a frictionless shopping experience across devices, seamless mobile payments, and more flexible delivery solutions. If a retailer cannot achieve customer loyalty, it simply won't survive. Amazon has become the go-to marketplace for online shopping. With customer expectations now sky-high, what can smaller brands do to compete in terms of cost without the scale? Change is underway, and some brands, manufacturers and suppliers are creating slick and engaging online experiences. B2B ecommerce is moving fast - are you on board? Selling via social media is a potentially revolutionary tool to access a hard-to-reach demographic of young, engaged buyers. We look at how messaging app WeChat is reinventing ecommerce in China - and if this business model could be adopted more locally. Looking at the luxury sector, which is typified by high-paying, demanding customers, we consider how ecommerce tech and data analytics are personalising the customer's experience. Find out who's ahead and how to keep up. But how are these brands and retailers reacting, not just to today's demands of consumers, but to tomorrow's tech-savvy shoppers? 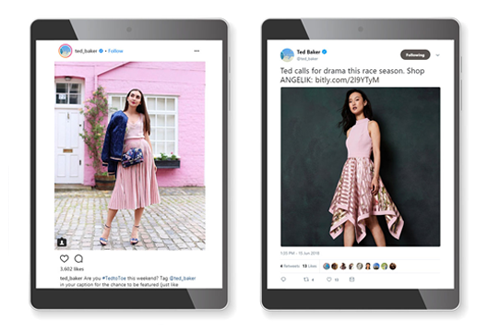 It's safe to say that shoppable social media will make up a significant proportion of the predicted ecommerce growth in the next few years. Social commerce seems to be moving at a faster rate than anything we've seen in recent years, an while social networks also continue to grow in size, the potential revenue base will continue to increase.